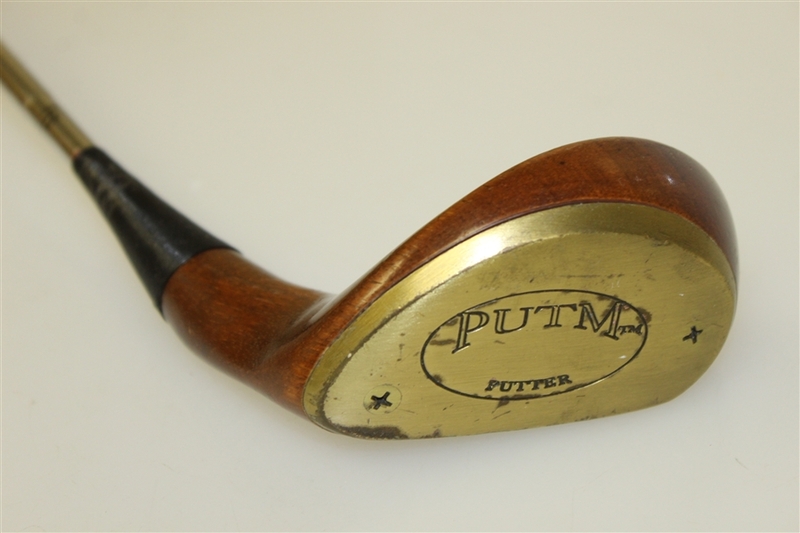 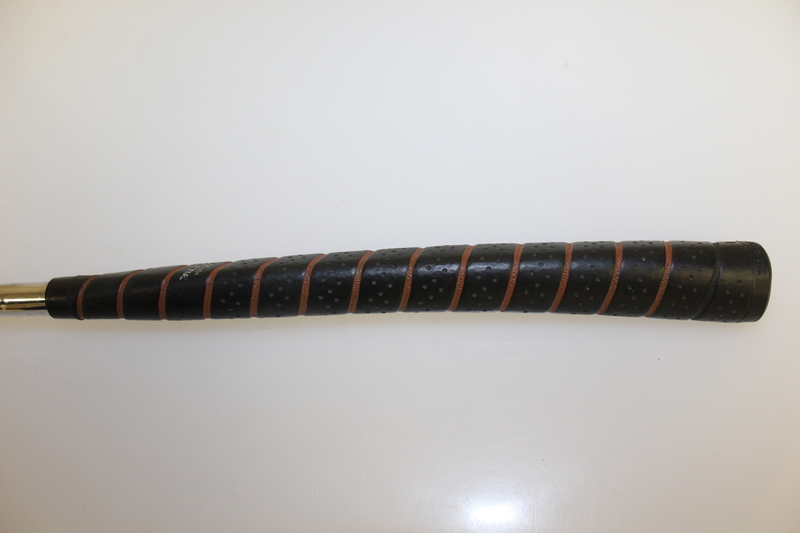 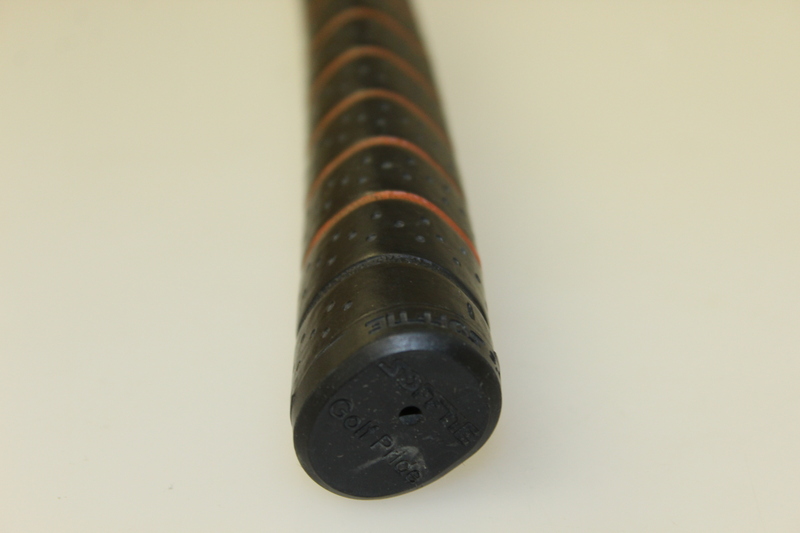 This lot contains a "PUTM" Persimmon mallet putter. The neck of the putter is purposefully bent almost as if to off-set the putter head. 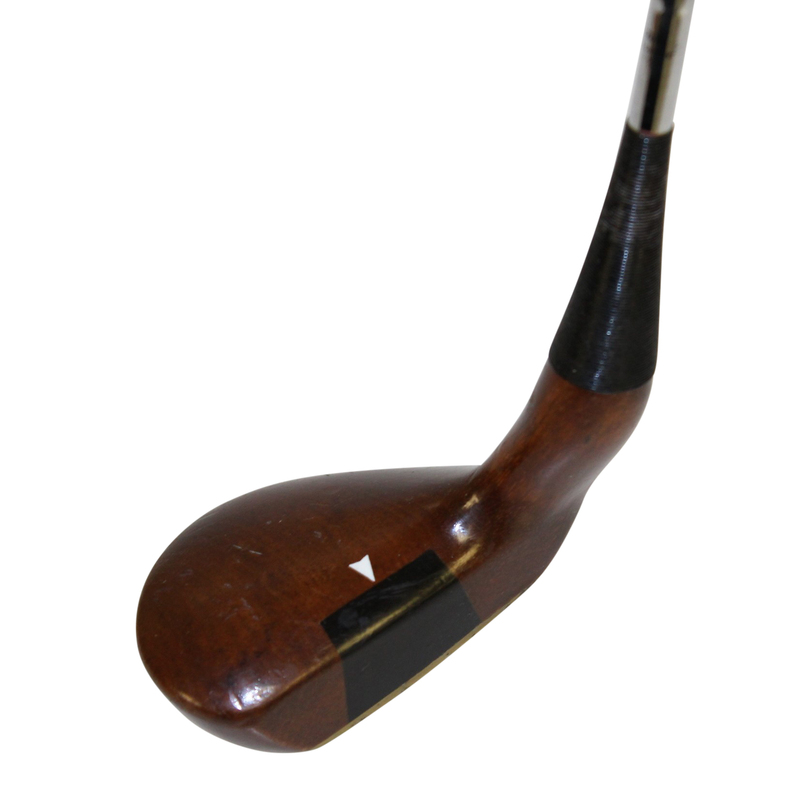 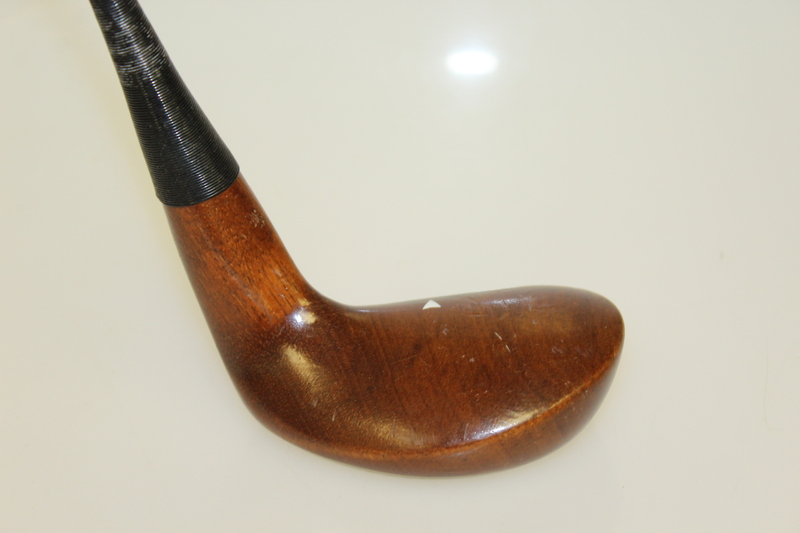 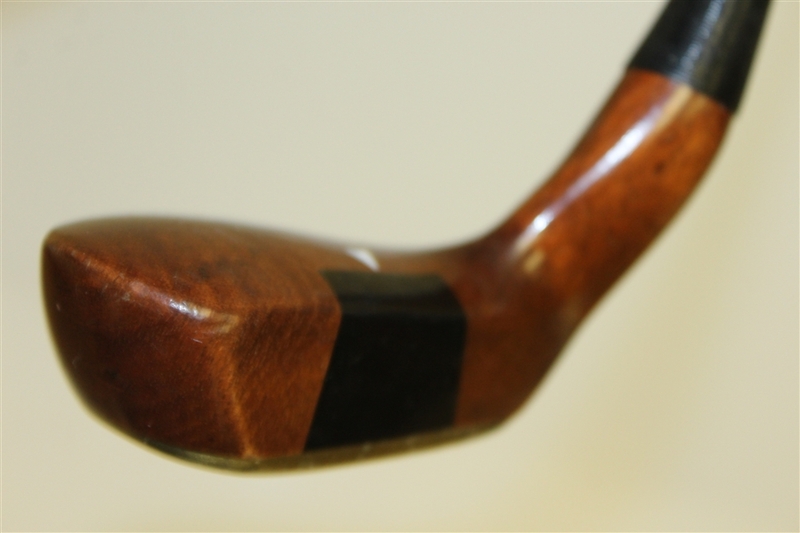 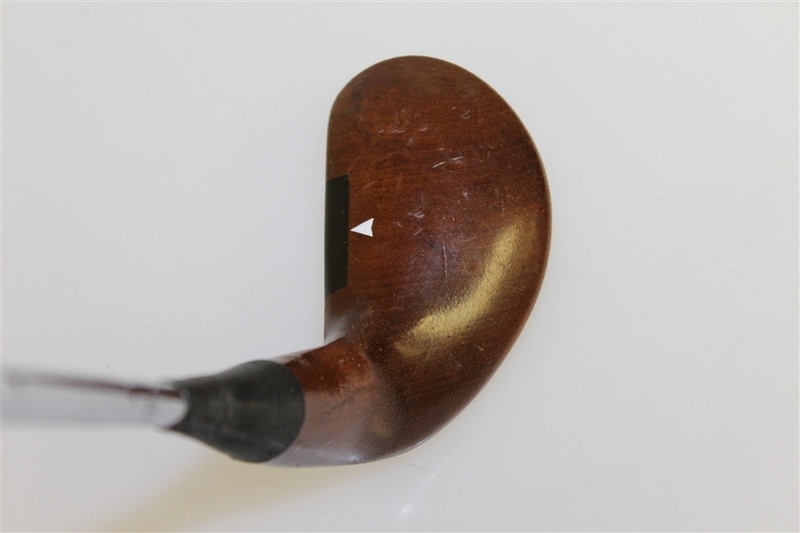 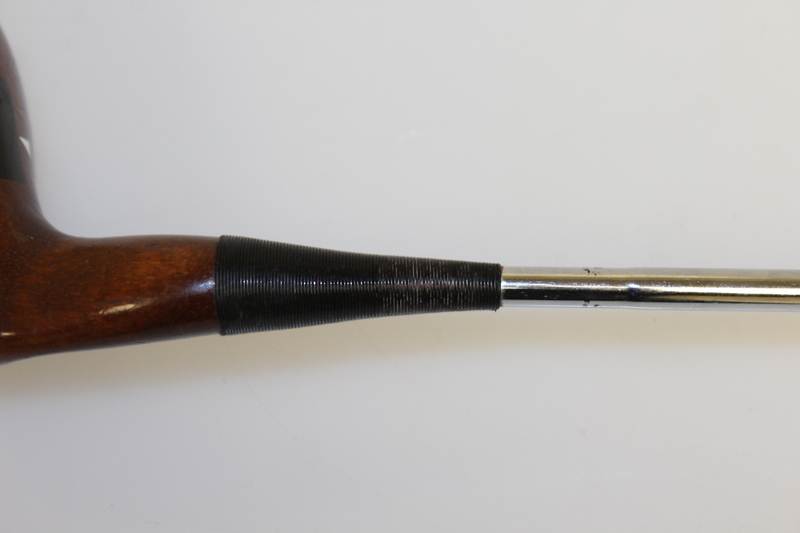 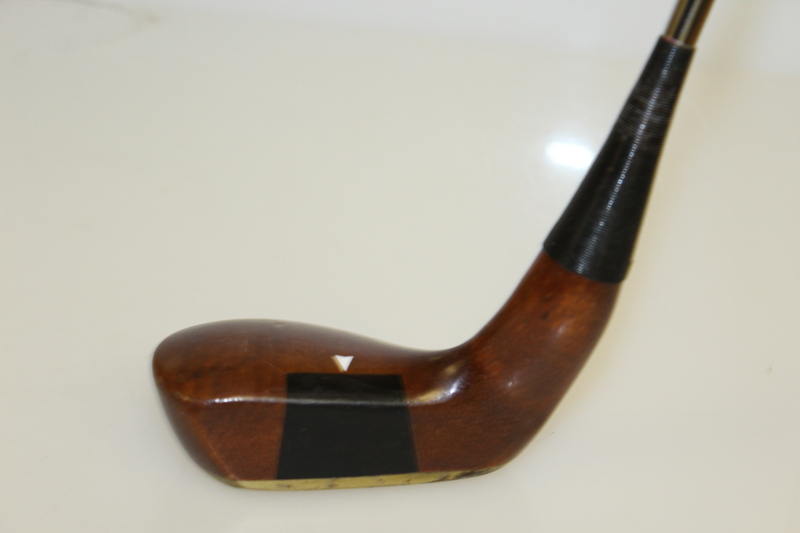 This is an uncommon club style for a wooden putter.